Looks and feels great. Don’t know what half the buttons do, though. The Poké Ball Plus is an optional accessory that’s compatible with Let’s Go, Pikachu! and Let’s Go, Eevee!, and is available in a bundle with the games. It also works with Pokémon GO. This nifty little device has three key features: the ability to act as a controller for the Let’s Go games, carry Pokémon transferred from Let’s Go, and act as a Pokémon GO Plus. If that sounds like a lot, you’re not wrong, but thankfully, all the Poké Ball Plus’ functionalities integrate well into both games. 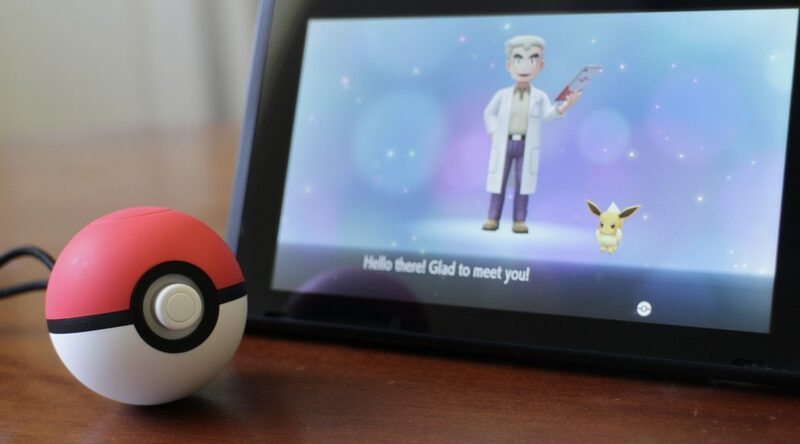 The Poké Ball Plus features a control stick that can be pressed in, and a button on the top. The feel of it is nice — its plastic shell is coated in a soft, grippy rubber and it’s small enough to comfortably fit into most hands. The device features a speaker, accelerometer and the Switch platform’s HD Rumble feature. It feels solid and well-supported in its wrist strap, although its coating can get easily dirtied. As a controller, it’s decent enough for most of the game. Almost every menu in the Let’s Go games can be controlled with the Poké Ball Plus, but will require you to shake the controller to access them.  This is often unintuitive — you’ll find that when attempting to access certain features in menus, you may accidentally trigger a sub-menu that you might not want to access. Shaking the controller also acts as a shortcut to access the “Play with Pikachu/Eevee” screen, so if you’re moving around while using the Poké Ball Plus as a controller, you’ll need to keep your hands still to avoid accidental triggers. On the topic of accidental triggers, due to its round shape, you may end up with the Poké Ball Plus slipping and rotating around while in your hand. If you aren’t looking, you’ll end up navigating the wrong direction because the Ball has rotated 10 degrees to the right. Pressing in with the control stick takes some getting used to, as well. Due to the size of, and the sensitivity of the tilt in the control stick, you can also end up trying to press on an option you’ve selected, but accidentally tilt the stick at the same time, highlight another option, and end up selecting that. It’s not going to be great selecting the wrong attack because of the stick or the rotation of the Ball, and it’s an unfortunate flaw of its wonderful design. The Poké Ball Plus functions fairly similarly to a standard Joy-Con, otherwise, and throwing the Poké Ball in-game feels natural, even if it suffers from being about as accurate as the Joy-Con is. It also feels a lot more comfortable to hold and play Let’s Go with, compared to a vertical Joy-Con. By far the coolest feature would be Poké Ball Plus’s ability to take your Pokémon on a stroll. If you’ve ever used the Pokéwalker, which was included in the packaging for copies of Pokémon HeartGold Version and Pokémon SoulSilver Version, then the ability to carry Pokémon around in a separate accessory should be nothing new to you. The biggest difference between the Poké Ball Plus and the Pokéwalker is the lack of a screen. This also means there’s no multiplayer interaction nor mini wild Pokémon battles this time. Steps are still counted, though, and the Pokémon walking with you will call out to you by vibrating the Poké Ball. Press the control stick as it’s calling out and the Pokémon will happily react to you. You can also interact with the Pokémon by pressing and holding the control stick while the Ball isn’t connected to a Switch. This triggers a mini-game that allows you to play with the Pokémon while it’s in its Ball, rocking the Bell gently to make it happy. Returning the Pokémon back to Let’s Go allows the game to sum up Exp. 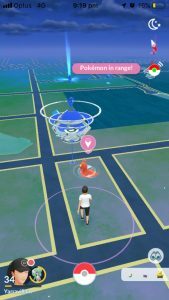 Point gains from your walk — steps, interacting with the Pokémon, and allowing it to help you in GO (more on that below) all count here. Unlike the Pokéwalker, a Pokémon isn’t capped by one level gain per play session, so if you travel around a lot with your Pokémon, expect some crazy levelling up. This mode suffers from being the least-documented feature of the Poké Ball Plus: there’s no instructions provided outside of transferring a Pokémon to the Ball and back. Neither the game nor the manual tells you about how to interact with the Pokémon in the Ball. Did you know that pressing the top button and control stick at the same time silences (or unsilences) the Poké Ball? There’s nothing official that’ll tell you about the feature. Works much like a regular GO Plus, only cooler. Of the various functions that the Poké Ball Plus has, its ability to work as a Pokémon GO Plus seems particularly random, but it does work well. Pairing it up with Pokémon GO will set the Poké Ball Plus to count your steps and track your distance, and with the touch of a button, throw Poké Balls at wild Pokémon and spin PokéStops, all while the app is closed or your phone is locked. What’s more, a Pokémon travelling with you from Let’s Go will spin any PokéStops within range for you. If you keep passing ‘Stops while forgetting to spin them, this feature may be particularly useful to you. What’s more, you’ll still be able to interact with your Pokémon during the stroll if it calls out to you. Once you’ve paired Pokémon GO to your Poké Ball Plus, you can quickly toggle the connection to the Poké Ball using the Poké Ball icon at the top right of your screen, beneath the compass icon, and then pressing on the control stick to make the Poké Ball Plus discoverable. 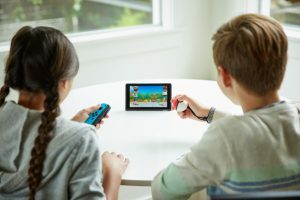 It ends up being a snap to switch from Pokémon GO to Let’s Go simply by disconnecting it by tapping the same icon, and then pushing the control stick again so that the Nintendo Switch automatically connects to it. Ready to hit the road? 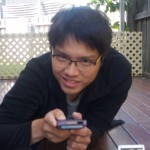 Put the Switch into sleep mode and then toggle the connection in GO again. If you know that Bluetooth is a bit of a headache, the Poké Ball Plus has no Bluetooth pairing headaches to speak of (your mileage may vary depending on your phone). As with the Pokémon GO Plus, the usual caveats apply: if the first Poké Ball thrown fails to capture the Pokémon, it’ll flee immediately. If you run out of standard Poké Balls, the Ball will refuse to capture anything. It’s certainly something Niantic ought to change, but the convenience factor is still pretty great. 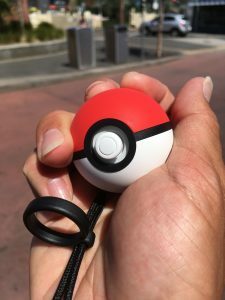 The Poké Ball Plus is the ultimate accessory for Pokémon GO and Pokémon: Let’s Go players. It feels wonderful and its functionality integrates with both games fairly well, particularly if you’re playing both Let’s Go and GO. At US$49.95, it does have a fairly high asking price, though, and you’ll probably get better value from the Let’s Go bundle. The Poké Ball Plus on its own may be better in value than the Pokémon GO Plus from its additional functionality, but unless you’re playing Let’s Go along with it, its value may be harder to justify. It would also be nice if it came with a decent instruction manual. Worth noting: the Poké Ball Plus also contains a Mew, which is cool! (Spending the fifty bucks for it, or getting the bundle, is currently the only way to get a Mew in the Let’s Go games.) Be warned, however, that this Mew can only be redeemed once — after you’ve redeemed it, the same Poké Ball Plus cannot be used to download another Mew into any other save file. With no way to transfer it out besides trading, if you erase your save data, it’s gone.